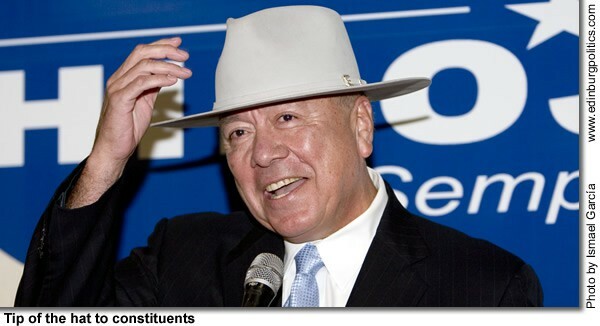 Sen. Juan “Chuy” Hinojosa, D-McAllen, shows off his hat in recognition of the cowboy/vaquero culture that is deeply rooted among many families in his legislative district, which stretches from McAllen/Edinburg/Mission through Corpus Christi. “This is for the people,” Hinojosa told several hundred supporters in McAllen, as he tipped his hat in their honor, during his campaign kick-off, held Thursday, September 13, at the Holidome. See story later in this posting. The construction of the first private student housing development to serve the University of Texas-Pan American will give the local economy an estimated $18 million shot in the arm, and send yet another message that both the university and city are growing by leaps and bounds, the Edinburg Economic Development Corporation has announced. 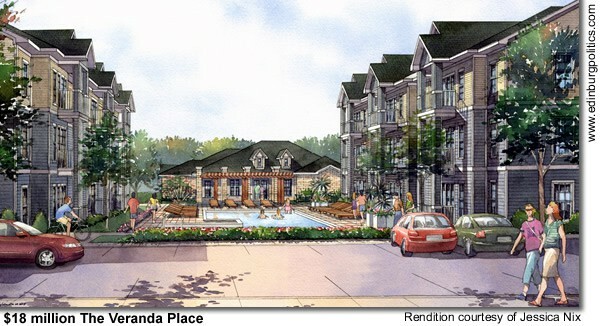 The complex, to be called The Veranda Place, is being built on North Sugar Road. 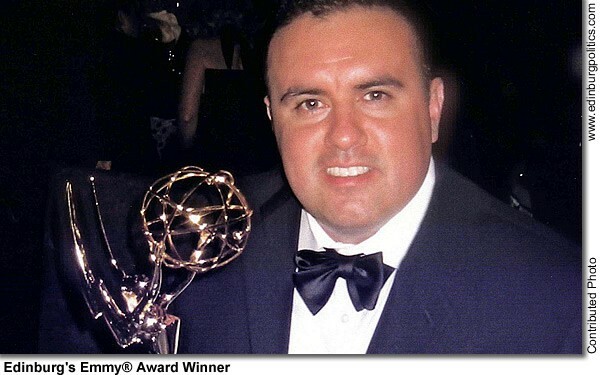 Steven J. Escobar, a 1987 Edinburg High School graduate, has sparked Bobcat pride for alma mater and for his hometown with his recent Emmy® Award for Outstanding Picture Editing for Reality Programming at the Academy of Television Arts and Sciences 2006-2007 Creative Arts Primetime Emmys in Los Angeles. See story later in this posting. In announcing his bid for reelection, Sen. Juan “Chuy” Hinojosa, D-McAllen, heaped praise on the people he represents, rather than list his own accomplishments, crediting South Texans for being the driving force that has transformed the Rio Grande Valley into an economic and cultural hot spot in the nation. But, during his campaign kick-off on Thursday, September 13, at the Holidome in McAllen, he made sure to remind voters that the region’s successes must never come at the expense of ignoring the struggles of working families and the underprivileged. 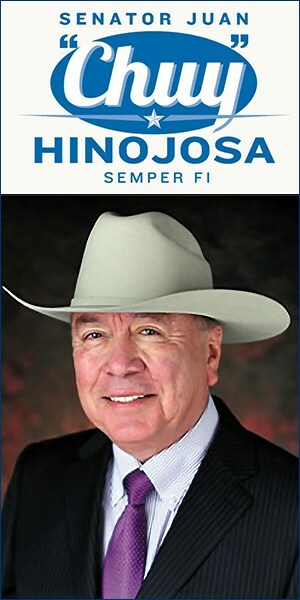 Despite his many political and professional achievements, Hinojosa reflected most proudly on his experiences as a young man, toiling as a migrant farm worker – still one of the most dangerous but crucial jobs in the country – before volunteering to fight as a U.S. Marine combat squad leader in Vietnam. Those hardships helped prepare him for the rest of his life as an attorney, and in a political career that has spanned more than a quarter-century. Juanita Valdéz-Cox, leader of La Unión del Pueblo Entero, formerly the United Farmworkers Union, said Hinojosa has always been a champion for the middle-class and poor. As an example, she noted his leadership roles in pushing for state laws that now protect farm workers from labor exploitation that in the eyes of many, bordered on slavery for much of the 20th century in Texas. Hinojosa, no stranger to big cities, having lived in Washington, D.C., where he attended law school at prestigious Georgetown University, marveled at the changes that have occurred in deep South Texas. During the past 26 years, Hinojosa, a Mission native, has been part of a socioeconomic revolution that has seen the Valley explode from a mostly-agricultural, rural setting into a series of closely-knit small cities and communities that, together, are home to more than one million people. Since he first began his political career in 1981 as a state representative, the Valley has undergone dramatic and positive changes, he said. Hinojosa, who so far is unopposed, said he will be focusing on health care, transportation, job-creation, open government, and public and higher education when the Texas Legislature returns to work in January 2009. Hinojosa’s Senate District 20 includes all but the southeast portion of Hidalgo County, Brooks County, Jim Wells County, and Nueces County. The major population centers in Senate District 20 include Corpus Christi, most of McAllen, Edinburg, Mission, Falfurrias and Alice. First elected to the House of Representatives in 1980, Hinojosa served 10 years before retiring to return full time to his legal practice. While out of elected office, he served as a member of the Texas Higher Education Coordinating Board in the early 1990s as an appointee for Gov. Ann Richards. In 2002, he was elected to the Texas Senate in what at the time was the most expensive campaign, involving three other candidates, in state history. During his campaign kick-off, Hinojosa said little of his upcoming legislative agenda, preferring to keep the mood festive and the political rhetoric down to a minimum. True to form, he drew laughter from his supporters numerous times, poking fun at himself, especially when he recalled the first time he had a political event in the same banquet hall at the Holidome 26 years ago. Back then, the Democratic Party was the supreme political organization in the state, and Republicans almost literally did not exist in deep South Texas. So Hinojosa figured taking shots at the GOP was what every one in the early 1980s wanted to hear. The then-rookie politician was uncertain why he received little response from his audience, so he figured maybe he should increase the heat against the GOP. “You know those Republicans, they said they were going to help families, but they are lying again! They need to support families. But they are lying again! Shame, shame, shame,” he said he proclaimed with even more gusto. But “silence” is all he received, Hinojosa recalled. “And I go on: those Republicans, they said they would support health care, but guess what? They lied again! Shame, shame, shame,” he told the 1981 audience with even more bravado, thrusting his fingers into the air for dramatic effect. Realizing he was definitely preaching to the wrong crowd, Hinojosa scrambled to save political face. “So I said, ‘You know what? Those Democrats – they lie, too! So, shame, shame, shame,'” Hinojosa remembered doing an immediate about-face. “That’s where you learn your politics,” he laughed to the cheers, hoots, and jabs from his supporters 26 years later, which now included a good number of local Republican Party loyalists and elected leaders. Eddie Sáenz, who was portrayed as a Republican sympathizer in his unsuccessful Democratic Party challenge in 2004 against Rep. Aaron Peña, D-Edinburg, has officially entered the race for a second time against his political rival. But this time, Sáenz, a civil engineer, hopes to turn the tables on Peña, criticizing the veteran trial lawyer for taking a leadership role in keeping Tom Craddick, a Republican from Midland, in power as Speaker of the House. Sáenz’ comments could represent the first major strike by Democratic challengers against so-called “Craddick Ds”, a term coined by partisans for a key handful of Democratic state representatives who in late 2006 joined a Republican majority to keep Craddick in power. Sáenz filed his paperwork designating a campaign treasurer – Bennie Rodríguez, an Edinburg businessman – about two weeks ago. Sáenz said a more formal announcement of his campaign, being developed by the Austin-based political consultants Fero-Hewitt Global, would be coming in a matter of days. He plans to hold his own campaign kick-off in October, promising major endorsements. Sáenz’ comment came at the Holidome in McAllen, where he was attending the Thursday, September 14 campaign kick-off for Sen. Juan “Chuy” Hinojosa, D-McAllen. However, Sáenz didn’t rule out voting for a Republican for Speaker of the House, either. The Speaker of the House wields immense influence in the Legislature, having the power of life or death over all legislation, and rewarding his allies with chairmanships (Peña is chairman of the House Criminal Jurisprudence Committee) and memberships on the the best House committees, which usually means more state funds and programs for those lawmakers back home. In 2003, Craddick became the first Republican in 130 years to be elected by the 150-member House of Representatives as Speaker of the House. So far, both men are the only announced legislative candidates for House District 40, which includes all but southwest Edinburg, La Joya and Sullivan City in western Hidalgo County, Edcouch, Elsa, La Villa, and San Carlos in eastern Hidalgo County, and northern Hidalgo County. The Democratic and Republican Party primaries are in early March 2008. If a Republican candidate surfaces, the legislative seat will be up for grabs in the November 2008 general elections. Historically, House District 40 has been a Democratic Party stronghold, although in the 1990s, Mary Ann Ríos of Edinburg, the Republican nominee, gave Rep. Eddie de la Garza, D-Edinburg, a closer-than-expected race. Peña sees his allegiance to Craddick as a badge of honor, and said as much when he was one of a few state representatives in late January 2007 selected by Craddick to second Craddick’s nomination for a third, two-year term as Speaker of the House. “Above all values, the reason I am here is because one man extended his hand and I responded with my word and my honor,” Peña said in his nominating speech, reminding Texans that in 2007, Craddick appointed the largest number of minorities to committee chairmanships in the history of the House. Peña has also defended his support for Craddick by providing a public record of what he says are major victories this year for House District 40 that were made possible because of his friendship with Craddick. Peña also noted that the state budget included significant increases in funding for almost 50 programs that benefit deep South Texas. Rep. Ismael “Kino” Flores, D-Palmview, on Thursday, September 13, officially announced his bid to seek a seventh term as state representative for House District 36. House District 37 includes Granjeno, Hidalgo, Mission, Palmview, Peñitas, Pharr, and South McAllen. Flores was first elected to office in 1997. 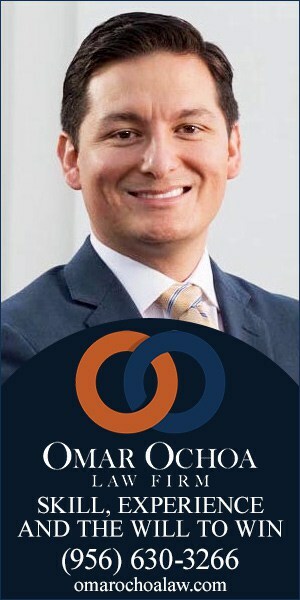 Since the 2003 legislative session, Flores has chaired the powerful Licensing & Administrative Procedures Committee, and is currently one of the senior-ranking members on the House Ways & Means Committee. A lifelong resident of western Hidalgo County, Flores has focused on several issues during his tenure in the legislature, including education, health care, transportation, and infrastructure. During the most recent legislative session, Flores addressed each of these issues, including helping to pass a bill that restores CHIP funding to provide health insurance for thousands of Valley children. 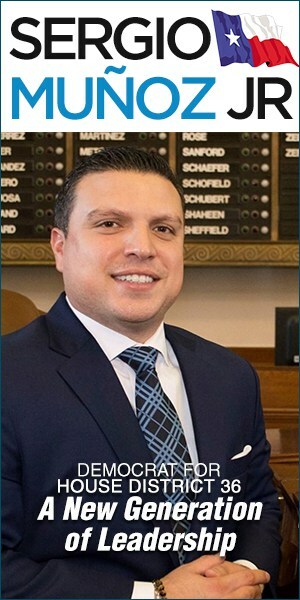 Flores also took a leadership role in passing legislation that expands educational programs for South Texans and secured millions of dollars in funding for local projects. Additionally, Flores passed legislation that is expected to generate millions of dollars for the local economy and position the Valley for future growth. Flores, a long-time supporter of issues impacting veterans, carried a constitutional amendment that will help military personnel who are deemed 100 percent disabled with a property tax exemption. Along with chairing the Licensing & Administrative Procedures Committee and serving on the Ways & Means Committee, Flores also serves on the Redistricting Committee. The University of Texas-Pan American recently held a press conference to announce its largest event of the year – the sixth annual Hispanic Engineering, Science and Technology (HESTEC) Week which will take place Sept. 24-29. The weeklong event, created by the University, in conjunction with the Office of Congressman Rubén Hinojosa, D-Mercedes, encourages students to pursue careers in math, engineering and science. For the first time in the history of the university, the Speaker of the U.S. House of Representatives will visit the campus, announced Hinojosa at the press conference held Wednesday, September 12. Speaker Nancy Pelosi, D-San Francisco, will be at the university on Thursday morning, September 27, to speak to students, and business and community leaders during HESTEC Robotics Day. Pelosi, who ranks second in the line of presidential succession, will talk about her “Innovation Agenda” which seeks to add 100,000 new scientists, mathematicians and engineers to the American work force by the year 2010. During HESTEC, students, teachers, administrators and parents will have the opportunity throughout the week to learn about math and science by attending workshops, listening to motivational speakers and participating in interactive demonstrations, such as robotics competitions, at various campus locations. UTPA President Dr. Blandina “Bambi” Cárdenas said HESTEC is taken very seriously because of the potential it has to change lives. “We are making measurable improvements in the quality of education and in changing the imagination of our students about what they can do,” she said. Since its inception, HESTEC has raised more than $1.6 million to benefit student scholarships at UTPA. Arnoldo Benavides, principal of Freddy González Elementary School in the Edinburg CISD and a UTPA alumnus, brought 30 of his students in grades 3-5 to the press conference. Clad in matching black polo shirts, some of the school’s students will participate in a catapult invention competition during HESTEC Benavides said. Credited publicly during the conference for creating a college-going culture at his school by making sure all 500 students had visited the UTPA campus, Benavides said he tells his students that school is not over when they graduate from high school. “I tell them school is over when you graduate from a university. I want to expose them to this beautiful university. I want them to know that these are the buildings where they will learn to become an astronaut, an engineer, a teacher, a doctor…whatever they want to be in life,” he said. State Farm Agent Rubén Solís also attended the press conference to reaffirm State Farm’s commitment to HESTEC, which has totaled more than $310,000 since the start of the event in 2002. “Through this event, we’ve taken a student who might not have been encouraged and not given too much to hope for, the ability to shoot for the moon – to be an astronaut, a president, and to be a leader,” Solís said. HESTEC will begin on Monday, September 24 with Math and Science Educator Day, which will host more than 1,000 K-12 teachers and administrators who will attend interactive workshops and seminars that will focus on STEM enrichment activities. They will also sit in on the Congressional Roundtable on Science Literacy discussion comprised of members of Congress and CEO’s and executives of major corporations who will share ideas on how to solve issues facing educators. President of Shell Oil Company, John D. Hofmeister, will give the keynote address that day. HESTEC Leadership Day, Tuesday, September 25, will inspire middle and high school students while they attend leadership building workshops and motivational seminars. Latinas in Science, Math, Engineering and Technology Day, Wednesday, September 26, will cater to female high school students and their mothers. They are expected to attend a full-day conference where they will hear from prominent executives and motivational speakers. On Thursday, September 27, middle and high school students will showcase their robotic designs and compete against other teams from throughout Texas during the HESTEC Robotics Day. Rex W. Tillerson, CEO and Chairman of the Board of the largest petroleum company in the world, – ExxonMobil – will serve as the luncheon keynote speaker. The HESTEC Student Career Expo – the largest university-sponsored career fair south of San Antonio – is set for Friday, September 28. All Texas college students are invited to participate and are given the opportunity to meet with high profile representatives from Fortune 500 companies, businesses and government entities. Community Day, Saturday, September 29, at the UTPA Fieldhouse, is expected to bring thousands of Rio Grande Valley residents who will have the opportunity to learn how science, mathematics and technology impact their lives by talking to top technology exhibitors, touring state-of-the-art educational facilities and getting to see and hear from celebrity guests and musical groups. Other HESTEC speakers and supporters include the heads of Marathon Petroleum Co., LLC; corporate business leaders from Monsanto Company, Verizon Communications, Texas Instruments, Chevron, Hewlett Packard, Lockheed Martin and NASA. 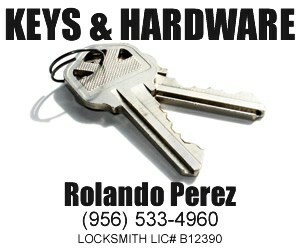 For more information about HESTEC, call 956/381-3361 or log on to http://www.hestec.org. Steven J. Escobar, a 1987 Edinburg High School graduate, has sparked Bobcat pride for alma mater and for his hometown with his recent Emmy® Award for Outstanding Picture Editing for Reality Programming at the Academy of Television Arts and Sciences 2006-2007 Creative Arts Primetime Emmys in Los Angeles. Escobar’s Emmy was for the show, The Amazing Race, a multiple Emmy Award-winning reality game show in which teams of two or four race around the world in competition with other teams. The Emmy® Awards are administered by three sister organizations who focus on various sectors of television programming: the Academy of Television Arts & Sciences (prime time), the National Academy of Television Arts & Sciences (daytime, sports, news and documentary), and the International Academy of Television Arts & Sciences (international). The Emmy Awards recognize excellence within various areas of the television industry. The awards are a symbol of peer recognition from over 13,000 members of the Academy. Each member casts a ballot for the category of competition in their field of expertise. Escobar finished his education by graduating from The University of Texas – Pan American with a Bachelor of Arts in Communications with concentration in Radio/Television/Film. His interests in the Entertainment industry began at the age of 16 when he began to produce, direct, and edit Tejano (Tex-Mex) music videos, award winning commercials, and short films. By the age of 19, Escobar had worked on three made for Television movies produced by The University of Texas-Pan American. In 1992, Escobar began Associate Producing the musical variety show, Budweiser’s Dance Time in Texas which ran for two years as a syndicated television series. He went on to create the successful music series titled, Tejano Country. The show’s concept was Escobar’s original idea, and he also produced, directed, and edited the show for the first two seasons. In 1996, Abraham Quintanilla (Q Productions, Inc.) contacted Escobar to produce Latin music videos by such artists as Selena, Pete Astudillo and Jennifer Pena. Escobar has produced five films through his company, Jesco Film Entertainment, LLC: Terror Toons, Near Death, The Jackhammer Massacre, Terror Toons 2: The Sick and Silly Show, and the comedy/soap opera, Lake St. James, which is being pitched as a television series. Escobar now lives in Los Angeles and works as a picture editor on various reality shows which range from Fox’s Trading Spouses and Nanny 911 to NBC’s The Apprentice and The Apprentice: Martha Stewart. Two years ago, Escobar was nominated for an Emmy by The Academy of Television Arts and Sciences for his work on The Apprentice . He is on a team of 24 picture editors nominated for Outstanding Picture Editing for Non-Fiction Programming (Single or Multi-Camera). The Edinburg Chamber of Commerce, the City of Edinburg and the Edinburg Economic Development Corporation are pleased to announce 100 Years of Edinburg History. The City of Edinburg was founded in 1908, where it was first named Chapin, Texas; in 1911 the town of Chapin was newly named Edinburg, Texas and today the Edinburg Marketing Team is celebrating the Centennial date from which Edinburg was founded. From April 8-12, Edinburg will again go down in history by looking back and reflecting on the establishment and growth of our great city. A series of events will take place, including an invitation to those who have preserved Edinburg’s history through photographs, clippings, and other various memorabilia to be displayed at the Edinburg Activity Center. We are limiting the amount of exhibitors to the first 50 interested applicants. The Edinburg Marketing Team invites the community of the Rio Grande Valley to dig up all of their historic Edinburg Artifacts to be on view and shared with the masses. If you have a piece of Edinburg history that you would like to share, please contact the Edinburg Chamber of Commerce at 956-383-4974 to make further arrangements. “The President claimed that this surge would provide ‘breathing room’ for the Iraqi government so that it could make much-needed political changes. While I do not dispute Gen. Petraeus’ conclusion that the surge has brought marginal security improvements, it has done little to reconcile the country’s battling factions. A few fleeting military successes cannot be equated with real strategic progress. “Gen. Petraeus testified that the surge could last through next summer, which I find unacceptable given the current conditions in Iraq. I see no credible sign that the Iraqi government is any more capable of establishing a peaceful, democratic, and united country than before the surge. The country continues to be plagued by substantial violence and its government has failed to show any ability to handle the bloody sectarian strife. Upon loaning his U.S. Senate exploratory campaign an additional $3.69 million dollars, Democrat Mikal Watts today said that all future contributions raised during the primary will be used exclusively to defeat Sen. John Cornyn, R-Texas. The September 11 loan brings the total amount Watts has given or loaned his campaign to $7.5 million. In the first 30 days of Watts’ exploratory campaign he also raised $1.14 million from over 800 donors. Watts has been barnstorming the state since he kicked off his exploratory campaign on June 1. This story is dramatically retold today on his new state-of-the-art campaign website at http://www.WattsForSenate.com. State Rep. Rick Noriega, D-Houston, also is considering seeking the Democratic Party nomination. So far, Noriega and Watts are the only two possible candidates considering filing for the Democratic Party primary, which, along with the Republican Party primary, will be held in early March 2008. 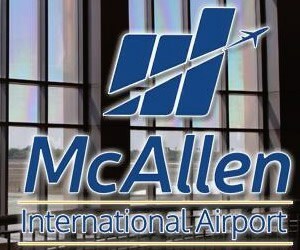 After a lengthy investigation, the United States and the State of Texas have settled a False Claims Act lawsuit against Dr. Raúl Márquez, a McAllen area physician, and two hospitals with which he is affiliated and has ownership interest, United States Attorney Don DeGabrielle and Texas Attorney General Greg Abbott announced on Monday, September 4. 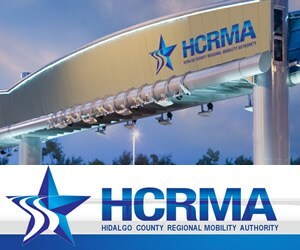 “This settlement restores more than $3 million to the taxpayers of the United States and the State of Texas, and further ensures Dr. Márquez complies with the rules and regulations pertaining to the Medicare and Medicaid programs, which are vital to the health and well-being of the citizens of the Rio Grande Valley,” DeGabrielle said. Márquez is an orthopedic surgeon licensed to practice medicine within the State of Texas. He practices medicine at Orthopedic Surgery Center and Sports Medicine in Edinburg, Texas, and at two hospitals in which he had an ownership interest, Cornerstone Regional Hospital, a 14 bed surgical center, and the now closed Cornerstone Rehabilitation Hospital, which had been a 25 bed inpatient rehabilitation facility. Under the terms of the executed Settlement Agreement, Márquez, on behalf of himself and the corporate defendants, has agreed and paid the United States and the State of Texas a total of $3,128,466 and entered into a Corporate Integrity Agreement with the United States ensuring future compliance with all of the applicable rules and regulations of both the Medicare and Medicaid Programs. The investigation leading to the filing of this lawsuit began in late 2002, when an orthopedic surgeon working with Márquez approached federal authorities and alleged Márquez was defrauding Medicare and Medicaid by billing for services not rendered as represented. The United States initially joined in a lawsuit filed under seal by the surgeon and, in September 2006, filed its own complaint alleging violations of the False Claims Act. In its complaint, the United States alleged Márquez, individually and through the Defendant hospitals, made false claims and false statements to the United States in connection with claims for reimbursement he submitted for his treatment of Medicare and Medicaid patients in violation of the False Claims Act. The United States alleged Márquez, Orthopedic Surgery Center and Sports Medicine billed the Medicare and Medicaid programs for services to patients that were not rendered, or were not rendered as represented. The United States also alleged Márquez and Cornerstone Regional Hospital improperly coded patient discharges, which resulted in the Medicare program overpaying Marquez and Cornerstone Regional Hospital for surgeries. The False Claims Act empowers private citizens with knowledge of fraud against the United States to present those claims to the United States by bringing a lawsuit on behalf of the United States. If the case is settled and monies are recovered by the United States and the State of Texas, the private citizen is entitled to share in any recovery. With the execution of the settlement, the court granted the government’s motion dismissing the pending civil suit Friday, Aug. 31, 2007. Copies of the dismissal order and settlement agreement are available on the U.S. Attorney’s Office, Southern District of Texas website (http://www.usdoj.gov/usao/txs). The investigation was jointly conducted by the Federal Bureau of Investigation, the Office of Inspector General for the Department of Health and Human Services and the Texas Medicaid Fraud Control Unit. The case was managed and settled by Assistant United States Attorney Andrew A. Bobb and Assistant State Attorney General Lara Silva. When it comes to educating Hispanics, several University of Texas System institutions were recognized as being among the best in the areas of business, engineering, law and health, according to the September issue of Hispanic Business magazine. According to U.S. Department of Education figures, UT Pan American awarded the second-highest number of degrees (1,889) to the ethnic group in 2006, followed by UT San Antonio (third, with 1,616), UT El Paso (fourth, with 1,555) and UT Austin (ninth, with 1,148). UT Pan American (No. 5), UT El Paso (No. 6) and UT San Antonio (No. 8) were among colleges that awarded the most master’s degrees to Hispanics in 2006; while UT Austin was first among colleges to award doctoral degrees to Hispanics that year. And in 2004, four UT System health institutions were among the top eight in the country conferring medical degrees to Hispanics. Those institutions – UT Health Science Center at San Antonio (No. 3), UT Medical Branch at Galveston (No. 4), UT Health Science Center at Houston (No. 5) and UT Southwestern Medical Center at Dallas (No. 8) – awarded 14 percent of all medical degrees conferred to Hispanics that year, according to the Hispanic Association of Colleges and Universities. UT Austin was ranked second in business, third in law and sixth in engineering while UT El Paso’s engineering program received top billing in the magazine’s “2007 Best School for Hispanics” survey. Additionally, the publication tapped four UT System institutions among the 10 best medical schools for Hispanics, including the No. 1 pick, UT Southwestern Medical Center at Dallas. The other UT System health institutions on the list are UT Medical Branch at Galveston (No. 4), UT Health Science Center at San Antonio (No. 5) and UT Health Science Center at Houston (No. 7). “Higher education is a social as well as academic experience, so attending a campus with at least some ethnic peers and faculty can make a big difference for any student,” the publication stated. The magazine’s rankings take into account academic excellence, enrollment, faculty, student services and retention rates. Last year, UT System four-year institutions collectively enrolled 69,958 Hispanic students, which accounted for 61.5 percent of all Hispanics attending public universities in the state, according to the Texas Higher Education Coordinating Board. Within the UT System, Hispanics represented 37.4 percent of all students. Also, four UT System institutions were among the top 10 in the country last year that awarded bachelor’s degrees to Hispanics. The University of Texas System is one of the nation’s largest higher education systems, with nine academic campuses and six health institutions. The UT System has an annual operating budget of $10.7 billion (FY 2008) including $2.3 billion in research funded by federal, state, local and private sources. Student enrollment exceeded 190,000 in the 2006 academic year. The UT System confers more than one-third of the state’s undergraduate degrees and educates nearly three-fourths of the state’s health care professionals annually. With more than 80,000 employees, the UT System is one of the largest employers in the state. Calpine Corporation on Tuesday, September 11, celebrated the Hidalgo Energy Center in Edinburg being named a Star Worksite under the Voluntary Protection Programs (VPP) of the U.S. Department of Labor’s Occupational Safety and Health Administration (OSHA). The VPP Star certification is OSHA’s highest level of recognition for outstanding efforts by an employer and its employees to achieve a level of excellence in occupational safety and health at their worksites. The Hidalgo Energy Center (HEC) joins a prestigious group of about 1,600 workplaces nationwide and 253 in Texas – out of 7 million sites overseen by OHSA – that have earned VPP recognition. Statistics show that worksites receiving VPP status have injury rates that are 50 percent below industry average. The Hidalgo Energy Center – a state-of-the-art, 479-megawatt electric power generation facility that has been in operation since June 2000 – is the first Calpine facility in Texas to obtain VPP Star Status and the second Calpine facility nationwide to be awarded the designation. Electricity generated from HEC is sold into the Texas power market and produces enough electricity to power more than 450,000 area homes. The plant consists of two combustion turbines, two heat recovery steam generators and a steam turbine generator. The plant’s 26 employees were joined by Calpine officials, OSHA representatives and local dignitaries for the award presentation. The “Star” certification came after an extensive review by an OSHA team of the plant’s safety and health programs, interviews with employees and a complete tour of the worksite. “Calpine Corporation is honored to have OSHA recognize the exemplary safety and health programs implemented by the Hidalgo Energy Center team. It is an example of our commitment as a company to operate safely and in highest regard for both people and the environment,” said Calpine Chief Executive Officer Robert P. May. In addition to OSHA’s presentation of the VPP Star certification, Calpine officials also announced the creation of the Ron Appleton Memorial Safety Award, named in honor of a Calpine Safety and Health manager for his dedication and leadership in safety. Ron recently passed away. Appleton worked with employees at the Hidalgo plant during the rigorous two-year VPP application process, and under his leadership Calpine’s Texas operations achieved five years without a lost-time accident, representing more than three million work hours. “For more than 20 years, Calpine has been providing clean, reliable power in a safe and environmentally responsible way. We’re establishing this award in Ron’s memory to reaffirm our dedication, and honor his commitment, to operational practices that safeguard our people, our communities and the environment,” said Don Neal, vice president, environmental, health & safety. Calpine Corporation is helping meet the needs of an economy that demands more and cleaner sources of electricity. Founded in 1984, Calpine is a major U.S. power company, capable of delivering more than 24,500 megawatts of clean, cost-effective, reliable and fuel-efficient electricity to customers and communities in 18 states in the U.S. The company owns, leases and operates low-carbon, natural gas-fired and renewable geothermal power plants. Using advanced technologies, Calpine generates electricity in a reliable and environmentally responsible manner for the customers and communities it serves. Please visit http://www.calpine.com for more information. Additional information about the Hidalgo Energy Center and Calpine’s Texas Operations may be accessed at the links listed below. The Edinburg Chamber of Commerce is swinging into gear with the 7th Annual Golf Tournament. The tournament will be a NIGHT Golf Tournament and will take place on Saturday, October 27, 2007 at Los Lagos Golf Course,1720 S. Raul Longoria in Edinburg. Tee off begins promptly at 3 p.m.; golfers will be served dinner from 6-6:45 p.m. and will tee off again at 7 p.m. for a total of 18 holes. The Golf Tournament is an Edinburg Chamber of Commerce fundraiser, and all proceeds will benefit the restoration of the Edinburg Chamber of Commerce building (Depot), which was built in 1927. The Depot restoration is a continued process, and community events like the golf tournament, assists in providing quality of life experiences for the citizens of the Rio Grande Valley and Edinburg. 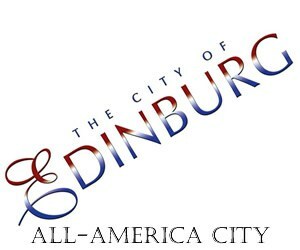 The Edinburg Golf Tournament is currently seeking sponsors. Sponsorship levels are $150 (Individual Player), $375, $550 and continue to $750. There will be hole-in-one giveaways, door prizes, dinner and more. For more information on the Edinburg Golf Tournament, the Edinburg Chamber of Commerce, or to become a member please call 956-383-4974. Gov. Rick Perry on Tuesday, September 11, appointed Cameron County Judge Carlos Cascos to lead the newly-created Texas Border Security Council as presiding officer. Cascos serves as Cameron County Judge. He is a certified public accountant (CPA) and partner in the accounting firm of Pattillo Brown and Hill L.L.P. Cascos previously served as Cameron County Commissioner and is a past member of the Department of Public Safety Commission. 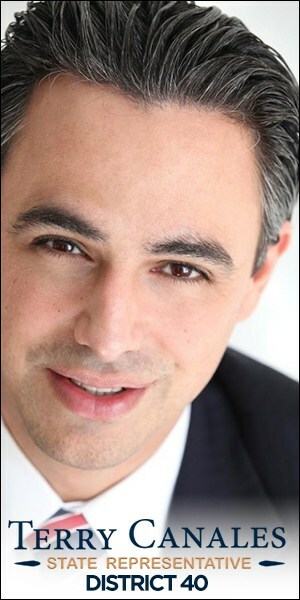 He is a member of the Texas Society of CPAs, American Institute of CPAs and the Association of Government Accountants. Cascos received his bachelor’s degree from the University of Texas at Austin. Cascos is also a member of the Texas Border Coalition, which is an alliance of elected leaders and economic development officials which lobbies at the state and federal levels for legislative advances, including border security. 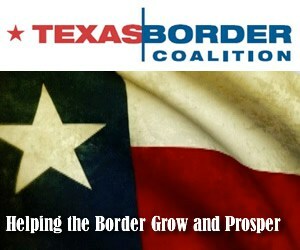 The represent the interests of more than two million residents who live in the 11 Texas counties that border Mexico. The Texas Border Security Council, created by Senate Bill 11 of the 80th Legislature, will create performance standards, reporting requirements, audit methods and other procedures for homeland security fund allocation and use. It also serves to advise the governor on the allocation of funds. Phil Wilson of Austin, who also is the 106th Texas Secretary of State. He serves as the Texas Border Commerce Coordinator and is also the governor’s designee to the Texas Enterprise Fund and the Emerging Technology Fund. Wilson formerly served as deputy chief of staff and director of communications for Governor Perry, and state director for U.S. Senator Phil Gramm. He received a bachelor’s degree from Hardin Simmons University and a master of business administration degree from Southern Methodist University Cox School of Business. Val Clark Beard of Alpine serves as Brewster County Judge and formerly served as Brewster County Attorney. She is past president of the Rio Grande Council of Governments and volunteers as an advisory board member of the Rio Grande Electric Coop. 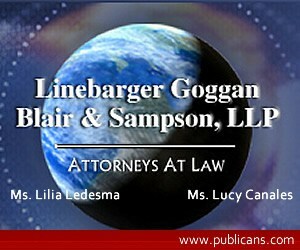 She is a member of the State Bar of Texas, County Judges and Commissioners Association and Trans-Pecos Bar Association. Beard received a bachelor’s and law degree from the University of Texas at Austin. Tomas S. Herrera of Eagle Pass is Maverick County Sheriff and has served in law enforcement for more than 30 years. He is chairman of the Texas Border Sheriff’s Coalition and director of the Texas Farm Bureau. Herrera is a member of the Sheriff’s Association of Texas, the Texas Jail Commission Advisory Board and the Texas Jail Association. He volunteers as chairman of Teletone Navideno and is a consultant to Quemado Radio Association. William Fredrick (Fred) Burton of Austin is vice president of counterterrorism for STRATFOR, a global private intelligence company. He formerly served as a U.S. counterterrorism special agent. Burton has helped orchestrate numerous international terrorism investigations, including the capture of World Trade Center bomber Ramzi Yousef. Buddy García of Austin is commissioner of the Texas Commission for Environmental Quality, and formerly served as Texas Deputy Secretary of State and Border Commerce Coordinator. 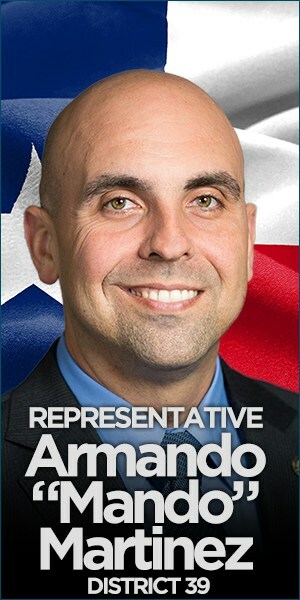 He is a past deputy legislative director for the governor and past special assistant to the governor for Texas/Mexico border affairs. Additionally, García served as a special assistant to then-Lt. Gov. Perry for South Texas, Gulf Coast and environmental issues. García received a bachelor’s degree in political science from Southwest Texas State University, now Texas State University. Becky Dean-Walker of Sierra Blanca serves as Hudspeth County Judge. She is chair of the Hudspeth County Juvenile Probation Board and a member of the Rio Grande Council of Governments Advisory Board, where she serves on the Criminal Justice Advisory Committee. Dean-Walker is a member of the Texas Association of Counties and the County Judge and Commissioners Association. Robert Braxton Holt of Midland is an independent rancher and oil producer. He is past chairman and board member of the Texas Department of Public Safety, and past member of the Governor’s Energy Council. Holt formerly served as a city council member and mayor pro-tempore for the City of Midland. He is a board member of the University of Texas of the Permian Basin Development Board, the Midland College Financial Command and the United Way of Midland. Additionally, he is a founding member of the Bush Library Foundation at Texas A&M University and member of the Texas and Southwest Cattle Raisers Association. Scott A. McLaughlin is president of Stagecoach Cartage and Distribution L.P. He is a member of the Chase Bank Advisory Board, Truckload Carriers Association and Paso Del Norte Group. McLaughlin is membership chair of the Young Presidents’ Organization and muster co-chair of the Texas A&M Club of El Paso. He received a bachelor’s degree from Texas A&M University and a master’s degree from the University of Texas-El Paso. T. Michael O’Connor of Victoria is a rancher and serves as Victoria County Sheriff. He is president of the South Texas Coastal Sheriff’s Alliance and director of the Texas and Southwest Cattle Raisers Association. Sheriff O’Connor has served in law enforcement for over 28 years. He is a board member of the Law Enforcement Alliance Project and the Project Safe Neighborhood Task Force of the Southern District. T. Michael O’Connor is past vice chairman of the Texas A&M University System Board of Regents and past member on the State Government Management Task Force. Additionally, he served as a special appointee to the Criminal Justice Task Force for the Comprehensive Review of the Criminal Justice System. O’Connor volunteers on the advisory board of the American Red Cross-Crossroads Chapter. He received a bachelor’s degree from Texas A&M University. Allan B. Polunsky of San Antonio is the founder and managing partner of Polunsky and Beitel L.L.P. He currently serves on the Texas Public Safety Commission, and previously served as a member of the Finance Commission of Texas and chairman of the Texas Board of Criminal Justice. Polunsky is a member of the American Bar Association’s section on Real Property, Trust and Probate, and the State Bar of Texas’ section on Real Estate and Probate Law. Polunsky received a bachelor’s degree from the University of Texas at Austin and a law degree from St. Mary’s University. Telling the Story of Caring is the theme for this year’s National Adult Day Services Week, celebrated September 16-22. South Texans in their twilight years can live more independent, happier and even healthier lives thanks to the excellent care provided by our professionals, para-professionals and volunteers. For the taxpayer, this means cost-savings since less nursing home care is required. For family caregivers, it can be a life and job saver. And for us baby boomers, the effective care means that South Texas stands poised to give us this same, top-notch assistance when we reach that pinnacle. South Texas can boast of 200 adult day care centers that contract with DADS to offer programs to countless seniors. It is known that the Rio Grande Valley has the largest number of adult day care centers in the state. That was certainly made evident recently. I was invited to honor senior citizens at one of the liveliest parties I’ve seen in a while, with lots of music and dancing. It was attended by a whopping 1,000 young-at-heart locals. Believe me, having to stop at times to catch my baby boomer breath to keep up with these folks, including those using walkers, demonstrated that caring works, maybe too well! Seriously, without these adult day services, the alternative for many would be to sit at home lonely, bored and inactive both mentally and physically. Instead, our grandparents, uncles and aunts, neighbors and friends, are offered structured, comprehensive programs that provide health, social and other care, usually during any part of a day, but for fewer than 24 hours. The providers and employers of adult services tell the story of caring in their everyday work. They treat seniors as if they were a part of their own families. This is the reason for the success of these programs, which will continue to be the blueprint for us baby boomers and those even younger. Also offered is the National Senior Companion Program, which recruits older volunteers to provide in-home support to family caregivers of seniors who cannot afford nursing homes. They assist with meal preparations, housekeeping, monitoring medications, running errands and transportation to and from doctor visits. Amigos Del Valle is another successful program in which the spirit of caring is alive and well. This consortium of county and city governmental entities provides nutrition, transportation and housing services to the senior citizens of Cameron, Hidalgo and Willacy counties. Since 1975, thousands have used these services to maintain their health and to live their lives with dignity. The agency consists of an established network of employees and more than 500 volunteers, providing assistance through 32 senior centers, nine senior multifamily rental housing projects and a central kitchen facility. That’s a lot of volunteers and responsible staff caring for the needs of our older and wiser residents. The story of caring can also be told of our active senior citizen centers. The Lower Rio Grande Valley Area Agency on Aging sponsors 30 senior centers that serve approximately 2,300 individuals, ages 60 and over. Forty senior centers in the Coastal Bend Area, which includes Kenedy and Kleberg counties-both in my Senatorial District 27-regularly schedule activities for people who are 60 and over that center on their health and well-being. Coincidentally, on September 7, 2007, the U.S. Senate proclaimed September 9-15 National Assisted Living Week. This year’s theme is Legacies of Love, which highlights the privilege, value and responsibility of passing the legacies of our elders’ lives down through the generations. Now is the time to remind our youngsters of the contributions, sacrifices and leadership our seniors have offered. Not only should we pass down the legacies of our elders’ lives, but we must also pass down South Texas’ unsurpassed legacy of caring for our seniors. In anticipation of the fourth anniversary of Proposition 12, which was approved in a statewide vote on September 13, 2003, Citizens Against Lawsuit Abuse (CALA) noted what they contended is dramatically expanded health care and a record number of new physicians now treating Texans. Proposition 12 was a state constitutional amendment that proponents said would help curb health care lawsuit abuse in Texas. Citizens Against Lawsuit Abuse (CALA) is a nonprofit, nonpartisan, grassroots, public education organization which states is dedicated to serving as a watchdog over the legal system and those who would seek to abuse it for undeserved gain. Founded in the Rio Grande Valley in 1991, CALA now strives nationwide to raise awareness of the costs and consequences of lawsuit abuse. More than 25,000 Texans now support the movement. The significant number of new physicians now practicing in Texas is tangible evidence that reforms are working, according to Summers. Since the passage of Proposition 12, Texas has experienced record growth in the number of new physicians in the state – licensing 10,800 physicians in the last four years and a record 3,324 new doctors this year, according to the Texas Alliance for Patient Access (TAPA). In historically underserved areas like the Rio Grande Valley, the ranks of physicians are growing, said Summers. The number of physicians in Hidalgo County has increased by 17.97 percent; Cameron County physicians increased by 16.2 percent. Both counties outpaced the state growth rate of 15.68 percent. Cameron County has added 72 new doctors, including two cancer specialists, 10 pediatricians, four cardiologists, four emergency room physicians, three obstetricians, 15 family physicians and nine internists, according to TAPA. The growth of practicing physicians in a post-reform Texas is statewide, according to CALA. Other key communities report significant growth in the number of doctors serving the community, including San Antonio (55 percent growth), Houston (36 percent growth) and El Paso (76 percent growth), according to TAPA. Also according to TAPA, CHRISTUS Spohns’ Westside Corpus Christ clinic serving the indigent and its Diabetes Excellent Program are both funded by the hospital’s medical liability savings; and Driscoll Children’s Hospital, also in Corpus Christi, used liability savings to open satellite clinics in Brownsville and McAllen. For more information, visit http://www.citizensagainstlawsuitabuse.com. Gov. Rick Perry has appointed four to the Texas Physician Assistants Board. The board establishes and maintains standards of excellence used to regulate physician assistants and ensure quality health care for Texans. The appointments, which were made by the governor on Friday, September 7, will require Senate confirmation in 2009. The appointees will continue to serve until then, and if approved by their respective state senators, will finish the remainder of their terms. Felix Koo of McAllen is the clinical coordinator of the Physician Assistant Studies Program at the University of Texas-Pan American. He is a volunteer medical director of Hope Medical Clinic and a volunteer pediatrician for the Alton Church of Christ Health Projects. 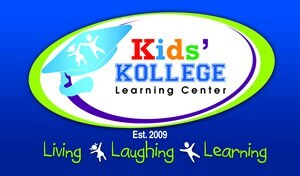 Koo also serves as a board member of the Children’s Defense Fund-Rio Grande Valley. He received a doctorate degree from the University of Texas Medical Branch at Galveston and a doctorate of medicine from the University of Texas Health Science Center at San Antonio. His term expires Feb. 1, 2011. Teralea Davis Jones of Beeville is the rural health clinic coordinator of Beeville Family Practice. She is a member of the Texas and American Academies of Physician Assistants. She is a member of the Fellowship of Christian Physician Assistants, the Christian Medical and Dental Association and Alpha Eta, the physician assistant honor society. She is a recipient of the Physician Assistant of the Year award from the Texas Academy of Physician Assistants. Jones received a bachelor’s degree from the University of Texas Medical Branch at Galveston. Her term expires Feb. 1, 2013. Michael Mitchell of Henrietta is a physician and partner of the Clinics of North Texas. He is being reappointed to the board. He is a member of the American Osteopathic Association and Texas Osteopathic Medical Association District 16. Mitchell is in full time family practice in Wichita Falls with emphasis on care and treatment of diabetes. Additionally, he serves as an adjunct faculty member of the University of Texas at Arlington and the Family Nurse Practitioner Program. He served in the United States Army Reserve, 2nd Batallion 12th Special Forces Group (Airborne) and received a bachelor’s degree from Central State University, and doctoral degree from Oklahoma State University School of Osteopathic Medicine. His term expires Feb. 1, 2013. Abelino “Abel” Reyna of Waco is a partner of Reyna and Reed L.L.P. He is president of the Association of Good Government and a board member of the Freeman Center. Reyna is a member of the City of Waco Planning Commission, State Bar of Texas and McLennan County Bar Association. Additionally, he is a member of the National Association of Criminal Defense Lawyers and the Texas Criminal Defense Lawyers Association. Reyna received a bachelor’s and law degree from Baylor University. His term expires Feb. 1, 2013. Maggie Rivas-Rodríguez, a journalism professor who helped spearhead a grassroots campaign for meaningful inclusion of Latinos in the upcoming Ken Burns’ documentary titled THE WAR, and Maria Burns Ortíz, a college soccer columnist with ESPN.com and one of the newer Latino voices in the country’s newsrooms, are among those to receive the prestigious ñ Awards next month from the National Association of Hispanic Journalists. Rivas-Rodríguez, from the University of Texas at Austin, and Burns Ortíz will receive the Leadership Award and the Emerging Journalist of the Year Award, respectively. Others honored with ñ Awards include Dianne Solís of The Dallas Morning News for her thoughtful and sincere coverage of immigration, Gary Coronado of The Palm Beach Post for his stunning photographs chronicling the physical risks Central Americans take jumping trains to go north and enter the U.S., and Rebecca Aguilar of KDFW-TV Fox 4 in Dallas for her reporting work that gives a voice to those who typically don’t have one in the media. They will receive the Frank del Olmo Print Journalist of the Year Award, the Photojournalist of the Year Award and the Broadcast Journalist of the Year Award, respectively. All the ñ Award recipients and winners in 14 other categories will be honored at the 22nd Annual Noche de Triunfos Journalism Awards Gala on Oct. 4 at the Capital Hilton in Washington, D.C., NAHJ’s signature event during Hispanic Heritage month. Gloria Campos Brown, news anchor at WFAA-TV Dallas, the evening’s honorary gala chair, and master of ceremonies Antonio Mora, anchor at CBS 2 News Chicago, will host the event attended by journalists, Latino leaders and the community at large. The work honored with the Journalism Awards that evening range from an editor’s impassioned defense of undocumented immigrants in the deep South in his commentary to a documentary investigating California’s rural gangs and their devastating effect on Latino families. The award-winning work also chronicled the emotional journey of a woman diagnosed with an aggressive form of cancer during her fifth month of pregnancy, investigated the little-known, yet incredible story on the U.S. military’s contingency plans to invade Mexico, and descriptively narrates in literary style a woman’s story of sexual violence on both sides of the border and the forced silence of undocumented abuse victims who have little hope of finding justice. The five ñ Awards honor journalists for their professional achievements and their leadership in bringing greater awareness to issues affecting the Latino community, while NAHJ’s Journalism Awards are given out to honor Latino journalists for excellence in their specialized fields of work or to any journalist, regardless of ethnicity, for their outstanding coverage of the Latino community. The gala’s presenters include Janet Murguía, president of the National Council of La Raza, Gilbert Bailón, publisher and editor of Al Día (Dallas) and current president of the American Society of Newspaper Editors, Maureen Bunyan, anchor of WJLA-TV in Washington, Miguel Almaguer, a reporter with WRC-TV in Washington, and Renay San Miguel, senior vice-president/senior media strategist with Weber Shandwick/WCTV public relations firm and former anchor of CNN Headline News. For information on purchasing tables, tickets or other sponsorship opportunities, please contact Azuree Salazar, NAHJ Development Director, at (202) 662-7482 or asalazar@nahj.org. The deadline to confirm a sponsorship option is Monday, September 24, 2007. Sponsors to date include: Freddie Mac, Chrysler, Hearst Newspapers, State Farm Insurance, Disney, Harrah’s Entertainment, Prudential Financial, Toyota Motor Sales USA Inc., Univision Communications and Western Union. 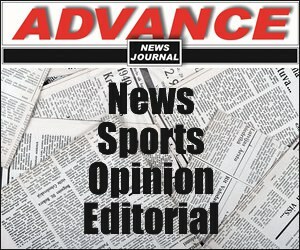 For more information about all the winners and winning entries, please go to 2007 ñ and Journalism Award Winners.